Let Cruise! Join us On Our Plus Size Cruise, the TCFCruise! 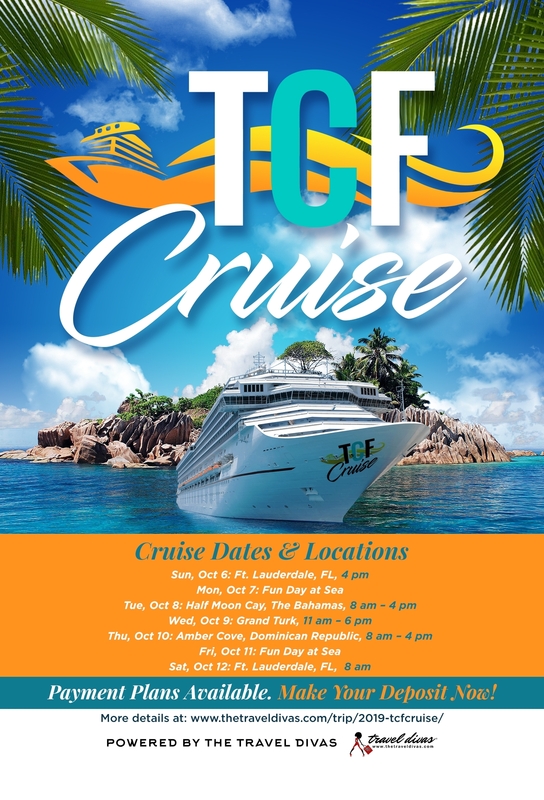 Join us on the TCFCruise! Do you remember back in 2015 when we debuted our TCFSwim event? Selling out in a day? A pool party? A swim fashion show? Well, we do and remember how much fun we had, the experience… so much so that we decided to do it again, with a little… or big twist! You’ve asked and we listened! Well, if you are a part of our TCF Community Group (different from the TCF Fan Page) on Facebook, then you know what I am talking about. Over here is where we brainstorm what to do as a brand, what YOU would like to see more of, and get a little more personal! One of the biggest call outs, especially from last year, was taking a trip, going somewhere for a girl’s adventure, and guess what? We heard you and we are taking our TCFSwim to the next level with a TCFCruise! Yes girl, we are going on a cruise! What’s Included in the TCFCruise? Not only will you relax in luxury in Carnival’s Magic boat, but enjoy TCF private parties and a little fun in the sun! If you have questions, want to learn more, or join in on the conversation, make sure you join our TCFCruise FB Group!